Fire extinguisher location is critical to ensuring that an extinguisher is always easily accessible in the event of a fire. The location and distance requirements for fire extinguishers are actually based on the size of the area, the type of fire extinguishers, and the locations of potential hazards. Check the maximum travel distance required by code. This refers to the farthest a person should need to travel before reaching an extinguisher, and it differs depending on the class of extinguishers and the hazard type. Pay careful attention to areas of higher fire risk. Most modern extinguishers are rated to perform properly at a wide temperature range. For example, Kidde specifies that their extinguishers should be stored in temperatures ranging from -40 degrees F to 120 degrees F.
Most workplaces shouldn’t have an issue keeping their extinguishers within that temperature range, but in extreme cases, it could happen! Fire extinguishers stored at too low a temperature could acquire a cracked valve or hose, so avoid allowing your extinguishers to freeze. Many people wonder whether extinguishers can be stored horizontally. While modern extinguishers can be stored horizontally (the contents are under pressure and the angle of storage will not cause the system to leak), proper fire extinguisher storage includes using the appropriate mounting brackets to keep the extinguisher within easy access. Horizontal storage typically isn’t optimal for employee access in an emergency, so it’s not recommended. Always keep areas in front of fire extinguishers clean and clear of obstructions. Mount fire extinguishers in such a way that they can’t be removed or damaged. Mount so the carrying handle is between 3.5 to 5 feet from the floor for more universal accessibility. Install a sign or other means of identification above a portable fire extinguisher. Sign height should be based on your jobsite conditions. Mount high enough so it will not be blocked by equipment. 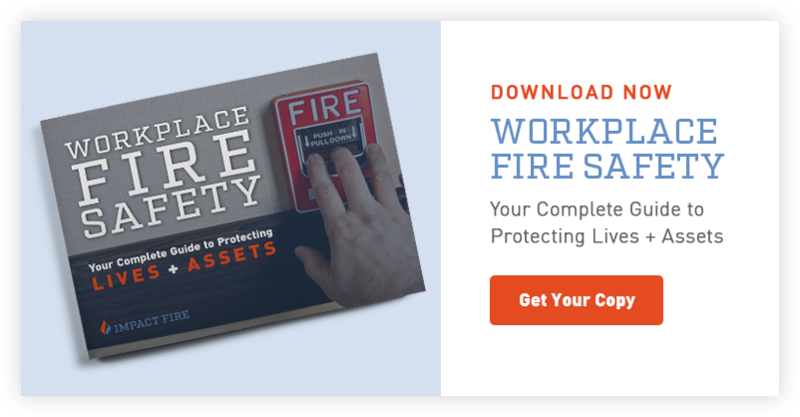 It’s no secret that fire extinguishers are an important and necessary part of safety in the workplace. Proper fire extinguisher storage helps ensure that your extinguishers remain in peak operating condition, ready to be called into action in case of fire. Conduct a fire extinguisher inventory to ensure all of your extinguishers meet the storage criteria above.